CELCOM Axiata Bhd on Aug 24 announced the appointment of Mohamad Idham Nawawi (pic) as the new chief executive officer effective Sept 1, 2018, taking over from Michael Kuehner whose tenure as CEO ends on Aug 31, 2018. This succession is part of the original plan two years ago to appoint an internal talent for the next phase of transformation. 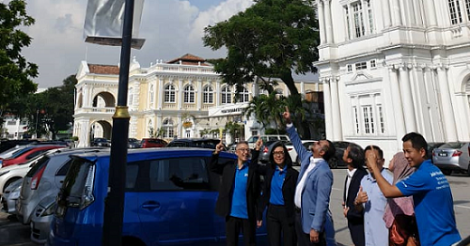 Kuehner has made enormous contributions through his vision and relentless drive to transform Celcom into a modern, agile and digital organization. His core strategy to provide the best customer experience in the industry saw Celcom achieve significant improvements in many areas in products and services, network quality and coverage especially in the deployment of 4G, sales and distribution as well as digitisation. Following a well-structured Axiata Group Bhd (Axiata) and Celcom succession planning and a thorough selection process, the Celcom Board had concluded that Idham is best positioned to take over from Kuehner. As an internal talent with excellent management and operational experience within the Group, as well as a member of the Celcom Board, Idham is already well versed in Celcom’s strategic directions, operations and challenges. The Board is confident Idham will be able to move quickly and efficiently to execute on the next phase of transformation. Idham is an established telecommunications professional with over 25 years of business and operations experience within the telecoms industry in Malaysia and within the region. He has held various senior management and directorship positions with several international and local organisations, including multiple startups. With the Group since 2012, Idham currently holds the position of group chief corporate officer (GCCO), responsible for regulatory management, corporate communications & sustainability, corporate affairs and government relations for the group, as well as managing the group CEO’s office and the Axiata Programme & Governance Office. Idham also led the Transformation Programme Office for Axiata 2.0 from 2012 to 2015, which was the impetus of Axiata’s expansion beyond its core mobile business into new digital services and tower business. As interim chief operating officer (COO) for Axiata Digital Services during its start-up phase in 2014, he was also instrumental in establishing the RM100 million Axiata Digital Innovation Fund (ADIF) targeted at developing Malaysian digital entrepreneurs. Prior to joining Axiata, Idham was COO of Packet-One Networks (P1), where he was key to growing the company from almost ground zero to become the fastest growing network. 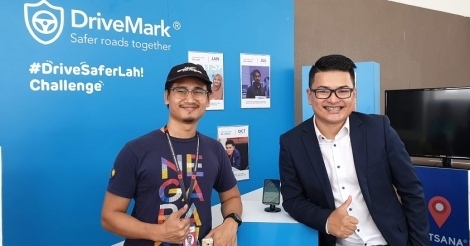 Among others, Idham also took on the role of head of strategy for Axis Telekom Indonesia where he was responsible for the launch of the new operations in Indonesia. He also served at Maxis Communications Bhd as general manager in various functions, and in his last role, led the Enterprise Business for mobile and fixed services. Idham had spent his early career with IBM Malaysia and Carl Zeis Inc in the USA. Idham has served as member of the Board of Directors in Axiata’s mobile operating companies in Malaysia, Cambodia, Bangladesh and Pakistan, and several Axiata Digital Services companies. An engineer by training and a Chevening scholar, Idham earned his BSc in Mechanical Engineering from University of Rochester, New York, USA, and MBA (Masters in Communications Management) from the University of Strathclyde, Glasgow, Scotland. Commenting on the change of Leadership, Jamaludin Ibrahim, who is the chairman of Celcom and president & group CEO of Axiata, speaking also on behalf of the Axiata Board, said “We are pleased to welcome Idham as Celcom CEO. With his vast leadership and notable accomplishments in many roles, I am confident he will lead Celcom to the next level of transformation into a digital world as well as to pursue our profitable growth strategy. His decades of industry experience and familiarity of Celcom, being already a Board member, will certainly help him to move quickly in the transition”.